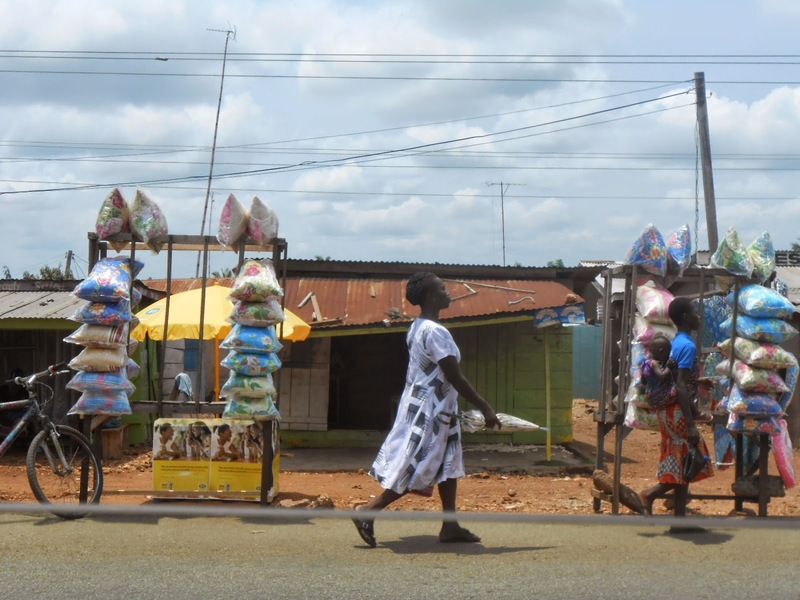 With over 100,000 technical artisans, auto-mechanics, and purveyors of related supplies, Ghana’s “Suame Magazine” cluster is a hotbed of West African manufacturing and creativity. Yet most of the local workshops are wooden shacks without electricity, and the entire community is in danger of collapse—unless the Suame artisans can come up with viable and competitive products, and learn how to repair computerized vehicles. The decline of Suame Magazine is typical of many such manufacturing and repair communities throughout Sub-Saharan Africa. Having myself undertaken a study attempting to document informal business practices around product development and consumer insights research among the jua kali in Kenya back in August/September 2010 but also attempt to map the learnings for sustainable design & manufacture in the first world given the high degree of sophisticated material re-use, repurpose and recycling that happens in Africa, I was naturally intrigued by their conclusions of decline. If anything, were McKinsey to ever develop their methodology for their virtuous supply circles that mimic the informal economy’s REculture opportunities, they should map the post consumption materials supply chain that exists behind the resale of an empty PET bottle or repurpose of jamjars into kerosene lamps. This informal industrial ecosystem, an informal valueweb, if our fieldwork in Kenya back in April is anything to go by, is all about designing makeshift redundancy into all your processes, given the variability in infrastructure of your operating environment and the irregularity of cash flows and amounts. Just in time, on demand, flexible and modular, these artisans are exemplars of lean manufacturing in the most frugal low cost way. They have no bank accounts for the most part, not until they’re large enough to carry the charges or have begun to employ on salary rather than piecemeal by job or task, and they don’t prefer to take loans for working capital or expansion once the initial founding amount has been arranged. If there is credit or cash advance against payments or work then it is all informal, local and social, arranged between individuals based on their own relationships rather than any hire purchase scheme or low cost loan. We visited Prof Kamau Gachigi’s Fab Lab at the University of Nairobi and saw some of the really cool stuff members of the lab were doing and the cutting edge equipment like a 300 dollar 3D printer. This got us thinking about the future of the jua kali and where could CNC machines and other computer controlled equipment fit in to the local ecosystem which looked so crude and primitive in its equipment and resources. “Teapot” Simon who automated an entire home including his teapot to run by an SMS is entirely self taught. No, the majority would never be electronic geniuses or hacking superstars but that is true of any population anywhere in the world. And those who natural talent drove them towards satisfaction would find their way, just like the makers supported by Emeka’s Maker Faire Africa initiative. While training programs would help with the programming languages required to make your first skillet printing program but once that was done, all the rest would have to do would be to download open source skillet programs. Except for the designer ones which you had to buy. Our imagination ran wild with little CNC kiosks set up with the 300 dollar fab lab machines, coordinating designs with named programmers who then sent over the program by mobile phone to the relevant machine. The whole thing should run on the mobile platform, using mobile OS for programming and all the training problems envisioned in Ghana would be solved. It would be a merger of the mobile repair industry – under its own pressure ever since the brand name heydays of everlasting Nokia were taken over by the frivolous Birds and Tecno – and the jua kali heavy manufacturing industry (i.e. not quite the little bulb into a kerosene lamp kind of thing). If I recall correctly, Jan Chipchase documented the first case of a dual SIM hack on a home made mobile phone in Accra, Ghana. Its in a rather well known presentation of his called Cultures of Repair, first given at Frogdesign SF I believe. That is the same community of people who are being described as unable to leapfrog into modern machinery as quoted in the first paragraph above? I’m looking forward to seeing further reports or documentation about this the study and its findings evidenced.